Marinate the salad in the dressing for at least an hour before serving. 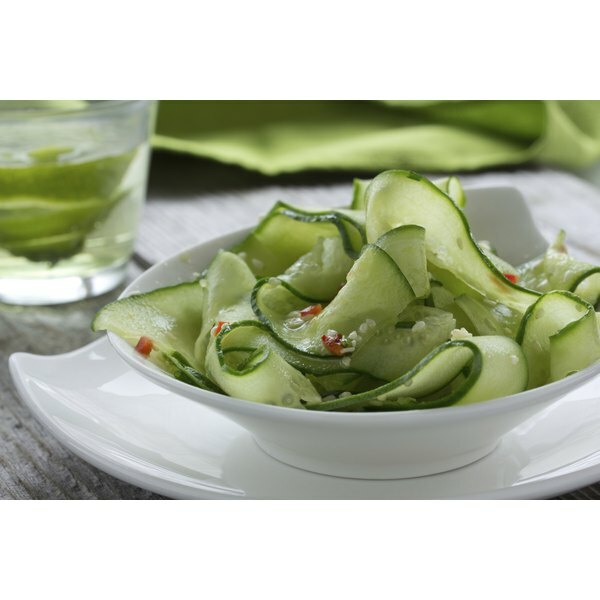 Choose cucumbers that are ideal in salads, such as English cucumbers, and skip the smaller pickling variety. You can peel the cucumber, leave it unpeeled or draw the tines of a fork down the length of the cucumber to give the sides an attractive scalloped look. Get creative with the cucumbers and slice them into thin 1/4-inch rounds, 1/4- to 1/2-inch wide strips, or cut it into long ribbons by drawing a vegetable peeler lengthwise down the cucumber. The type of onion you use depends on both aesthetics and flavor preference. Standard white or yellow onions have a more pungent flavor, while red onions add a pop of color. A sweet onion complements a sweeter dressing. Cut the onions into 1/4-inch diced pieces. Keep it simple by tossing the cucumbers and onions with prepared ranch dressing, or make a mayonnaise-based dressing for a creamy salad. Combine equal parts mayonnaise and sour cream for the dressing base, then season it with dill, fresh chives, pepper or powdered garlic to taste. 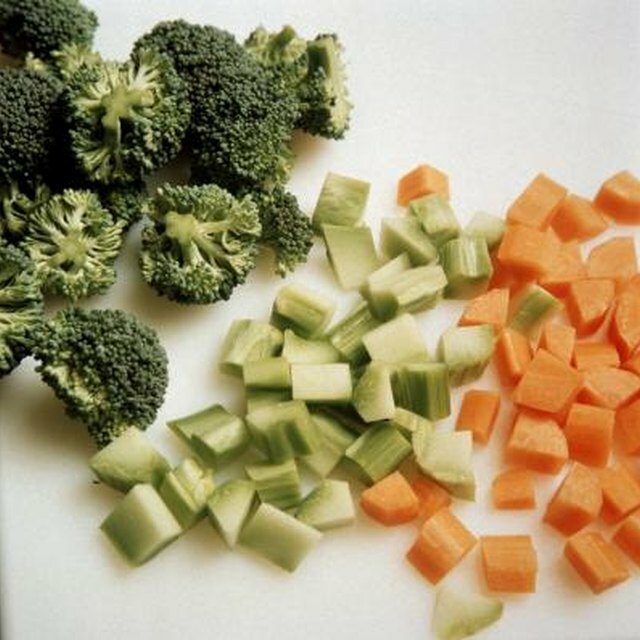 If you want the tang of a vinegar-based dressing, use white, rice, balsamic or red wine vinegar. Season it with salt, pepper or crushed red pepper flakes to taste, or make it slightly sweet by stirring in a bit of sugar. What if There Is Too Much Braising Liquid?